Brand New Genuine Peugeot 106 wing mirror cover. This cover is for the RIGHT SIDE. This comes as black plastic ready to be fitted to models without coloured wing mirror covers. Simply clips into place on outside of wing mirror. Very common for these to get damaged or fall off! Fits all 106 wing mirrors that have a removable cover. If your model has coloured wing mirrors then we also sell the primed covers that are ready to be painted any colour. Part Description: Brand New Genuine Peugeot 106 wing mirror cover. This cover is for the RIGHT SIDE. This comes as black plastic ready to be fitted to models without coloured wing mirror covers. Simply clips into place on outside of wing mirror. Very common for these to get damaged or fall off! Fits all 106 wing mirrors that have a removable cover. 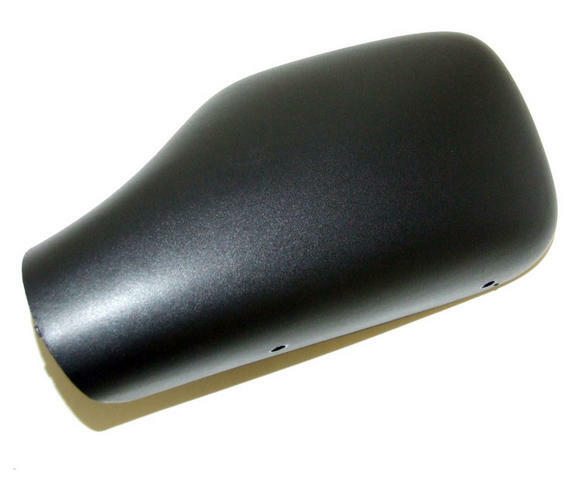 If your model has coloured wing mirrors then we also sell the primed covers that are ready to be painted any colour.